Hey, guys. I’m taking a little break from posting comics to get some other work done. 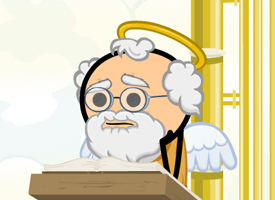 In the meantime, here is a link to last week’s short on Cyanide and Happiness. It was written by your’s truly! So give it a watch, ok man?? ?